Farm 2 Facts (F2F) works with individual markets and market organizations to support their data collection, interpretation, and reporting activities. F2F provides customized knowledge to help markets make decisions and communicate with stakeholders..
F2F works with individual markets from all shapes, sizes, and locations. Out tools are made for markets with low to high resources, and with a little to a lot of experience using data. Your account lets you view the 3-step process in organized activities, so you can get results to improve decision-making, communicate impacts, attract vendors and visitors, and secure funding. Organizations include any association, institution, or business that sponsors multiple markets. F2F coordinates data collection, interpretation, and reporting for each market with your organization by giving you access to their individual data. You can compare the markets and aggregate their results. You can use the findings to understand how your work impacts individual markets and larger communities. 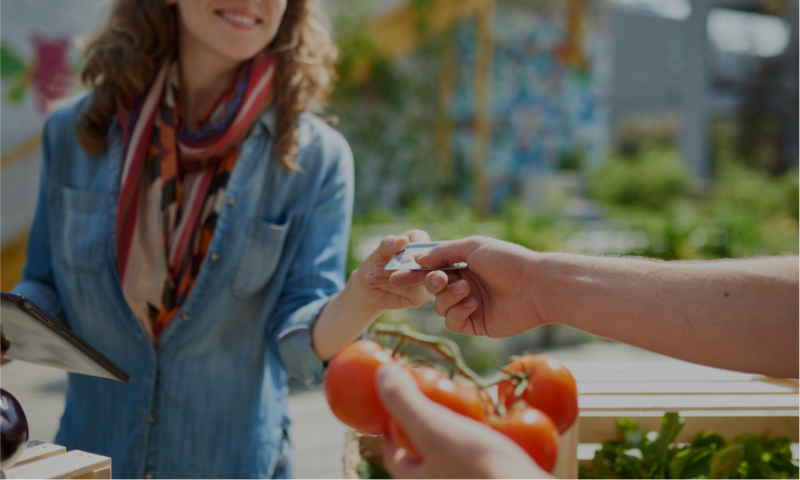 Our objective is to help farmers market managers understand and communicate their economic, ecological, and social impacts to various audiences. We do this by providing three services to all of our users: training, online support, and customer service assistance. The F2F team provides customer service assistance by e-mail, phone, or Skype 7 days a week. We pride ourselves on timely and personable communications with clear and succinct solutions to technical problems. Together, we have over 30 years of experience assisting farmers markets.